Anómia grip an excellent album of mineralised electronic de/composition from David Sutton’s LXV following from last year’s Witness / Recall for Monorail Trespassing and the immense Sirens collaboration with Kara-Lis Coverdale. Left to his own devices, LXV projects amorphous, evolving ecosystems in perpetual flux between drone stasis and insectoid texturhythms, messing with our temporal and spatial perceptions in utterly compelling manner. 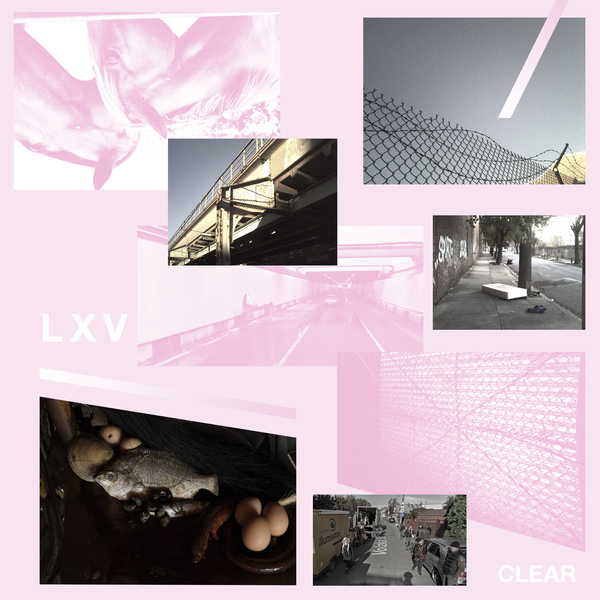 “‘Clear’ is a follow up to LXV’s last solo effort, ‘Asylum/Theophany’ (Soft Abuse, 2015), which was an examination and representation of experiencing the realm of phenomena associated with spectral consciousness. ‘A/T’ sought to further qualify if this experience is genuine or the result of a psychosis referred to in the occult as ‘Chapel Perilous’. ‘Clear’ seeks to address the aftermath of such an experience. It resides in a tabula rasa wiped clean by epiphany. Where ‘A/T’ was a collection of music about amazement, confrontation, and fear of a new reality, ‘Clear’ is a representation of the material world and the new, artificial voices that emerge out of it to recreate this experience of spectral communication. Distant whispers and chants spin into processed virtual light refracting off spatially arranged hypermedia superimposed over the decaying row-homes and warehouses.